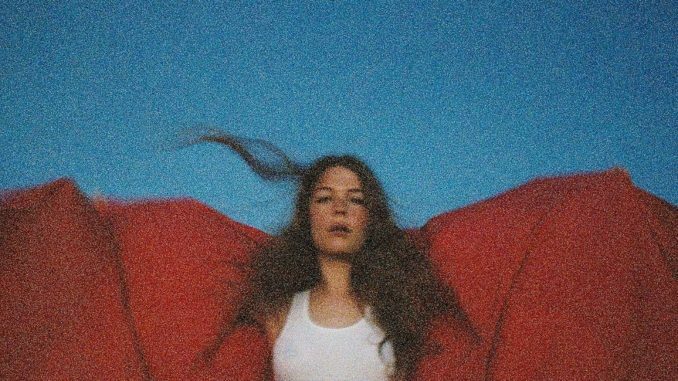 After a 2016 video showed hit single “Alaska” moved producer Pharrell Williams to tears, industry anticipation for singer-songwriter Maggie Rogers’ debut record was boiling. A series of EP’s, singles and remixes held over avid listeners until January of 2019, when her debut LP “Heard It In A Past Life” finally arrived. Blending folk vocals and choruses with electronic, R&B rhythms and drums, Rogers expands beyond the style of her first handful of tracks, putting her vocal talents and musical prowess on display while still leaving some room to grow. While an imperfect record, “Heart It In A Past Life” offers a variety of pop-influenced alternative sounds for an eclectic range of audiences. The album opens with the spacy, fluttering “Give A Little,” setting the tone for the rest of the album as a uniquely-produced and vocal-heavy project. The song’s earworm bridge and chorus demand listen after listen, and mark an unusual use of forward but tasteful instrumentation. These sounds, paired with her viral chorus work continues into the second track, “Overnight,” the warped baseline and choir samples in which beautifully highlight Rogers’ voice, which manages to peak above her humming in the background. Further into the album, Rogers’ voice takes center stage, breathlessly conveying emotional intensity on tracks like “The Knife” and, most prominently, the title track, “Past Life,” whose piano ballad-instrumental complexly invokes strength and vulnerability at once. Her star-making track, “Alaska,” also graces this section of the record, the chorus and baselines again nestling themselves into audience’s minds. “Alaska” is by far Rogers’ most spacy, natural, and beautiful track. With small improvements over the original 2016 version, the song perfectly settles itself in her discography. “Heard It In A Past Life,” though, fails to capture the same magic that her 2016 hit “Alaska” did. Rogers’ edgy, natural sound all but disappears on tracks like “Light On” and the album closer “Back In My Body,” where her newfound industry connections and influences drown her vocals with overproduction and chaotic background instrumentals. While Rogers’ usual style is instrumentally sparse, tracks like these flood the soundscape with basic, repetitive and unoriginal guitar chords and autotune-tinged vocal peaks. These tracks feel forced, unsympathetic, uninteresting and drag the rest of the record down. Here, Rogers’ stain of inexperience is most obvious. Her lack of control and instrumental restraint on tracks like “Light On” and “Burning” show a seeping lack of understanding of the meaning of a cohesive but interesting project. Rogers has yet to build a full LP that is both stylistically consistent, different and interesting enough to invite audiences to listen many times over, a vital element of album production that similar artists like HAIM and Lorde have more successfully put forward. Towards the back third of the record, though, Rogers takes back her usual style with elevated force. “On + Off” and “Fallingwater” provide a back to back trip through Rogers’ most intense, style-defining elements and breathtaking vocal elements. Her emotional and romantic themes she explores throughout the record are most prominent, and the connection she draws between them and her experiences in nature are never more apparent than with these tracks. Overall, Rogers brings a lot to her debut record, staving off fans who have anticipated the release since her 2016 discovery. Her voice, unique musical style and light instrumentals are stunning and perfectly memorable. Her inexperience in the music industry, however, leaves much to be desired from her compilation of tracks. If Rogers learns from her mistakes on “Heard It In A Past Life,” her future projects may be even more brilliant additions to the alternative music field.